Leaves have drifted down from the trees, the days are shorter and there is a distinct chill in the air. Fall has come and gone, and winter is upon us. Many homeowners who haven’t sold their homes may pull their properties from the market and choose to wait until spring to try again. 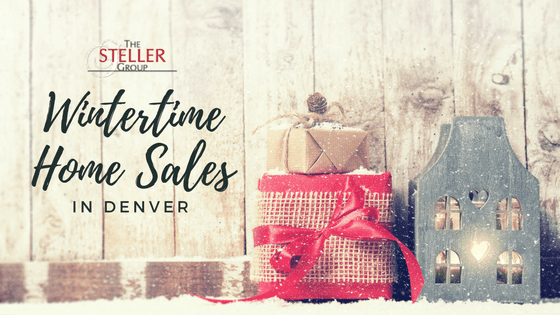 While this has traditionally been a common choice, the Metro Denver market conditions are currently advantageous for a home sale during the holiday season. The inventory in the Metro Denver area is still tight, currently providing a seven-week supply. Competition is low and we are experiencing a strong “seller’s market.” The average sold price of homes in the Metro Denver area has risen to just more than $440,000, a 9.5% increase from the beginning of the year. There are fewer homes on the market at this time of year; less competition means higher prices. The supply of homes increases in January; with more competition, less money follows. More investors are looking to close on a house before yearend for tax reasons. Buyers can be more emotional during the holidays and tend to spend more money. Buyers have more time off from work to house-hunt during the holidays.